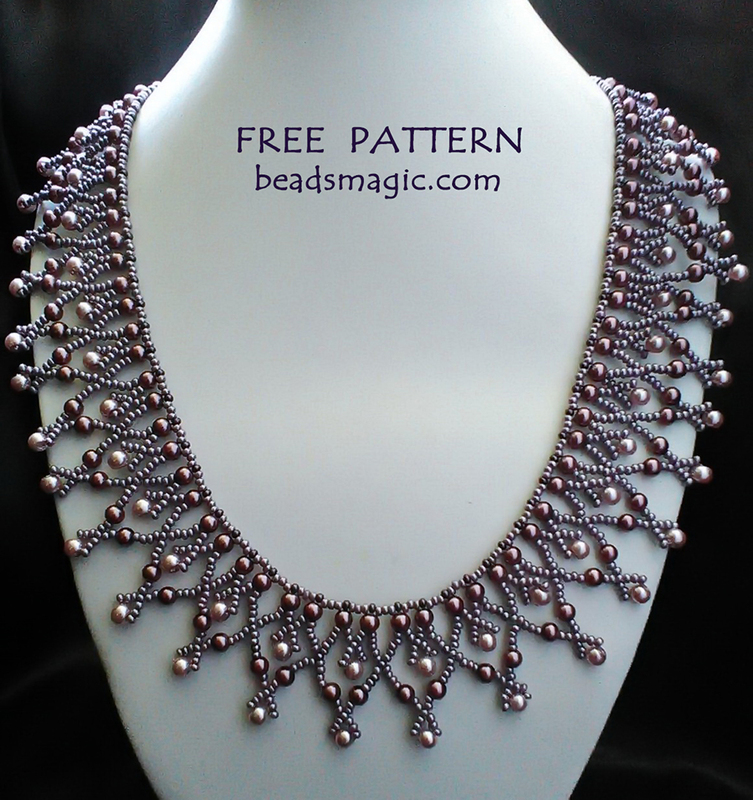 Thank you so much for the free necklace pattern. I love it. Where is the full tutorial for the Tayana necklace? I have tried every way I know and I cannot find a way to get it. Would you please help me? I don’t believe I have asked this before. Do you by chance have any thing for Christmas beaded ornaments? Would love to see some. Please and thank you. Thank you so much for this and all the lovely designs and for making step-by-step illustrations showing how to make them. 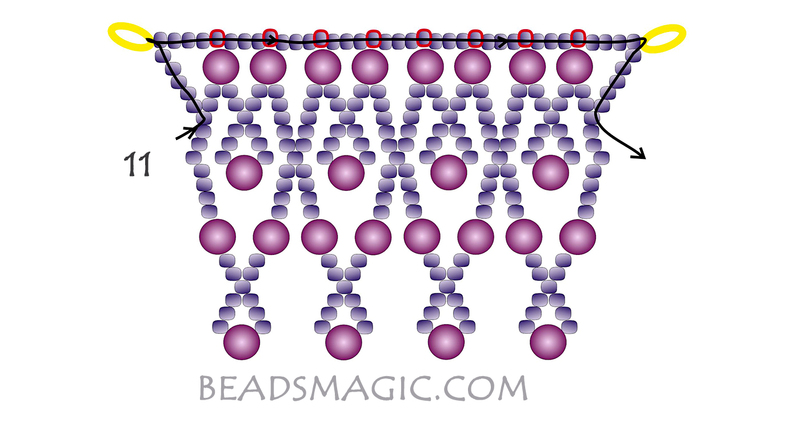 For those who cannot figure out how to proceed with the diagrams (or how to add clasps, and other basics) try either reading a few good beading how-to books or watch some of the many instructive free videos on YouTube and other websites. This is one I’ll definitely be making! 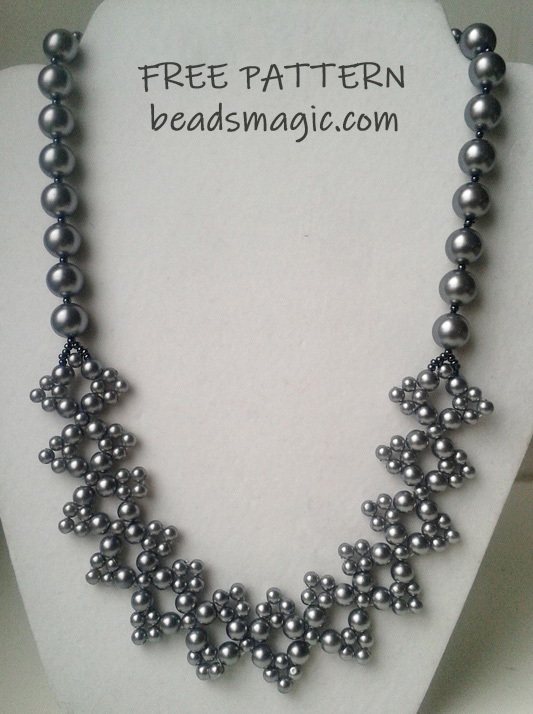 This is a very nice necklace and easy to make. Looks even better with fire polish beads. 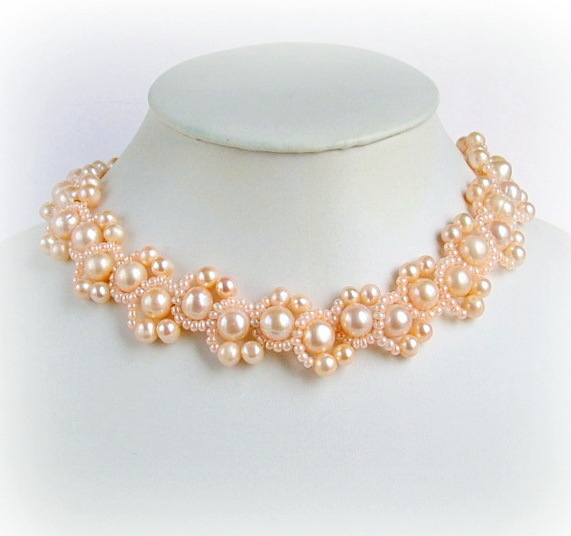 However, you should know that when you start with a 22″ necklace once you go through the last pass, it cinches up to an 18″ necklace. Not a problem at all if you plan ahead. 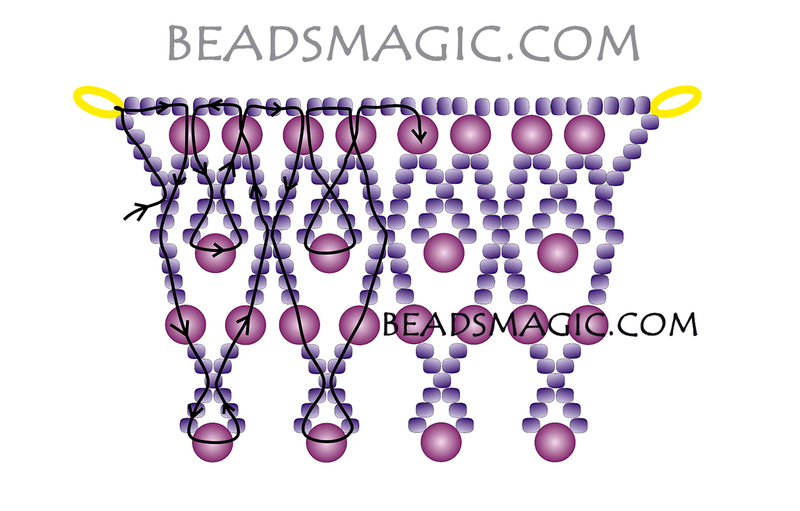 Approximately 15 – 20 grams of seeds beads and 218 qty 4mm beads. This necklace is whao, thanks for the free pattern. Who is the designer of this necklace? Or do you know the designer’s website or etsy store? Hey, I wrote you a note earlier asking you to send me a pattern and I FOUND IT! My name is Linda Burns. I was going to send you a picture, but this is the one I was requesting “TAYANA”. 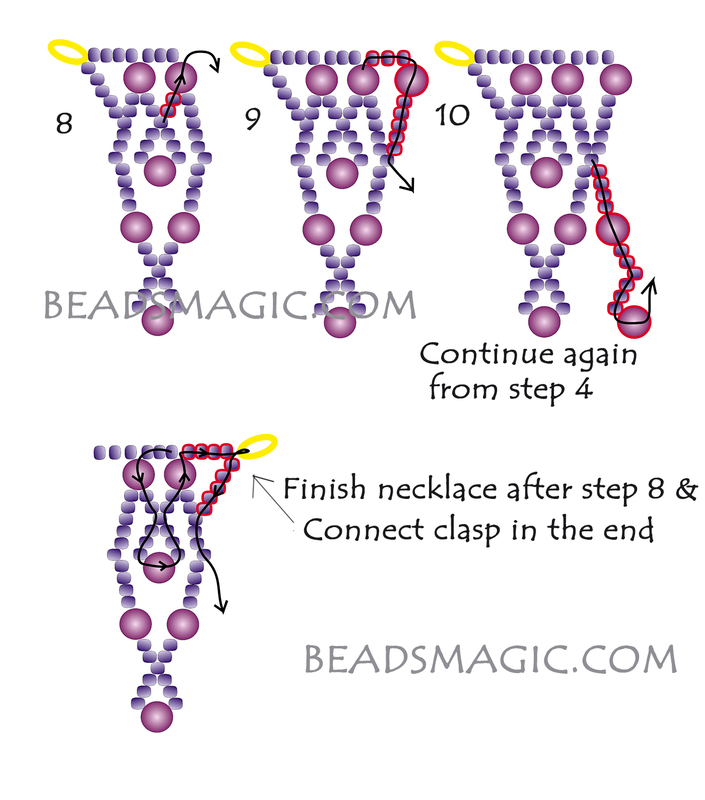 Do you have a tutorial for this necklace? WOW! I figured the pattern out. 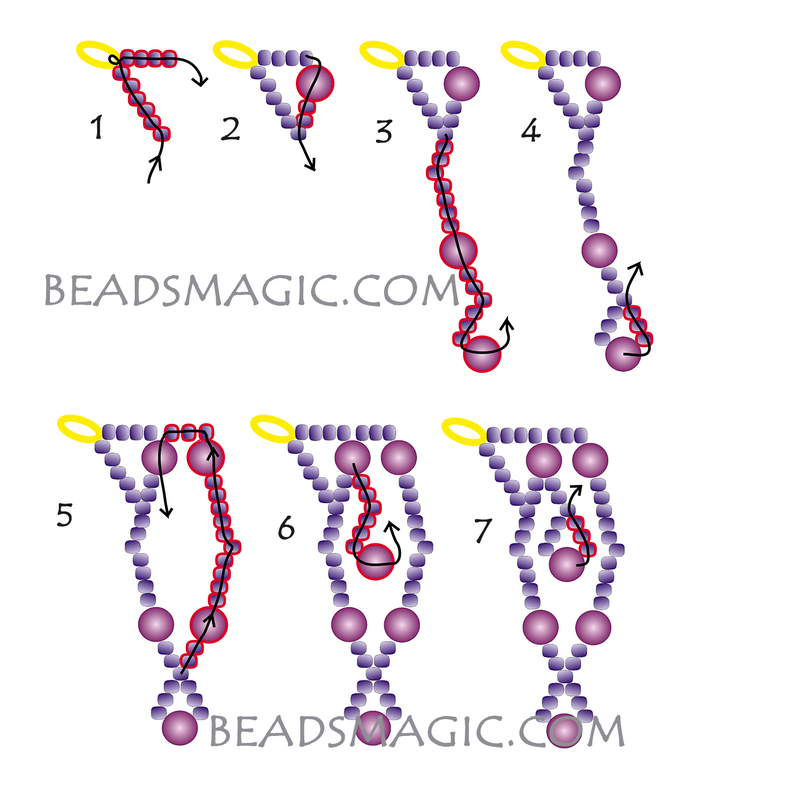 The 1st thought when I saw the pattern for TAYANA, there needed to be more written directions and/or a tutorial. Well, I started it with much apprehension and there it was……as easy as pie. 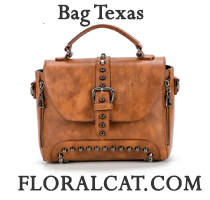 I love it and I really like your website and will share with my beading friends!!! !